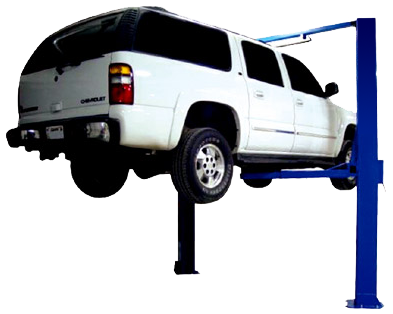 Gemini Auto Lifts’ Two Post Lifts are perfect for both home and commercial use. Our S-9F and S-10A models are used for car and truck maintenance and dismantling in shops all over the United States. The S-10A is perfect for lifting a little more than the average car or truck. It’s 10,000 pound lifting capacity gives you plenty of power to work on your heavy-duty pickup or van. For wider vehicles we have the extra wide S-10AX with 13 additional inches of drive through space.